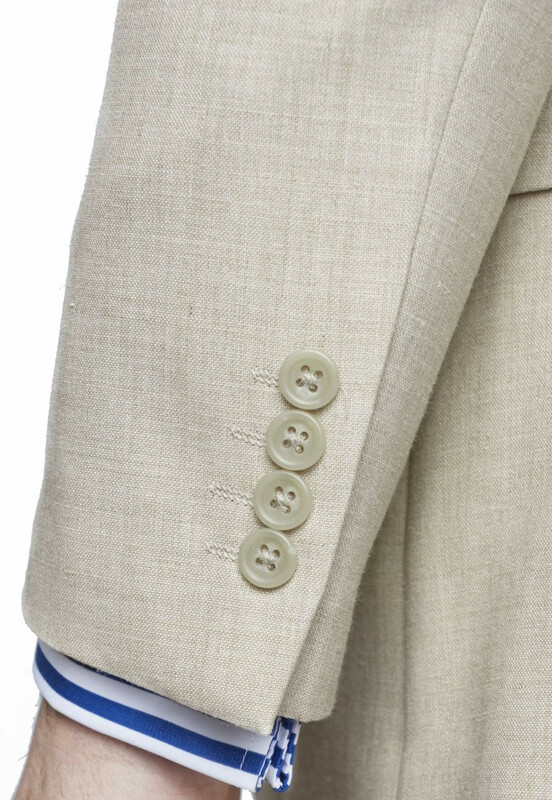 Linen suits are a classic summer look, but if you can’t stand being rumpled, this linen blend suit is the perfect alternative when you’re on the move, thanks to its practical yet refined material (a blend of polyester, wool and linen) and the fact that it’s machine washable. super service, suit adjustments correctly made - very pleased. Excellent, professional service all around. You get exactly what you order and in very good time. Excellent quality. Great clothing ,great cut great prices. It is good to know that anything ordered through this supplier is going to fit. The sizing is accurate the styles available fantastic. A name you can trust and a service you can rely on. I ordered a linen mix suit late Saturday afternoon: it was with me by Wednesday. Perfect fit, well made and comfortable. I took it with me to Budapest where temperatures soared to 40 degrees Celsius and I still remained cool and comfortable. I can't recommend Brook Taverner too highly and shall certainly be ordering from them again - when I can afford it! 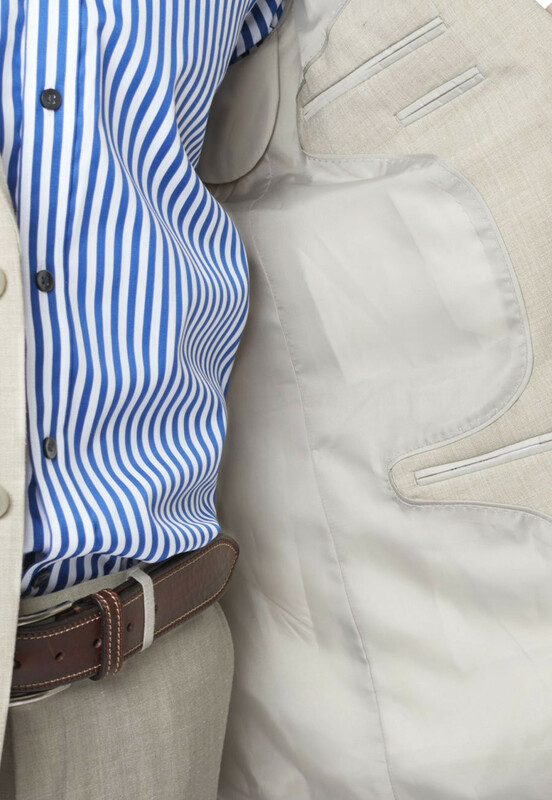 I have a regard for the quality of all the clothing sold by Brook Taverner having purchased two suits,chinos and a number of shirts over the years.The value for money is extremely good.the speed of delivery is remarkably fast. and where an exchange is needed I was truly amazed at the rapidity of the arrival of the replacement. Their people are pleasant and helpful to speak to.Overall this is a firm I have come to trust implicitly and to enjoy what they sell. Well done BT. Brook Taverner-quality and excellent value! Ordered one of the clearance suits-always a concern if clothes will fit. 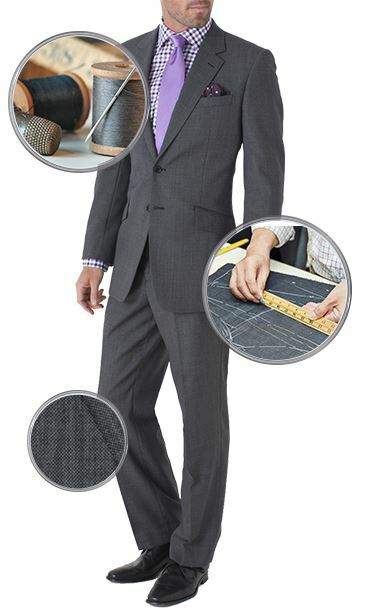 Your suit-excellent quality and fit! Will not hesitate to shop again. Christopher Hudson. Very high quality gear and a wide range of stylish and unique garments that stand out from the ordinary. Bargains to be had at sale time and rapid, tracked delivery. Excellent quality products, sold with good service and delivery. Absolutely delighted with the suit. Fantastic value for money (it was on offer). Very well made and ideal for summer wear. Just need the summer now! Oh yes, and quick delivery too. Really pleased all round. Very good service, including very helpful, local, staff on the telephone. Prompt delivery and easy returns. I am and always have been delighted with your service, quality and fit of items and value for money offers. I do recommend you to my family, friends and contacts. Good quality clothing, sent promptly and easy to track. Quick and no quibble exchange when I had to replace an item. Excellent service Top quality garments. Excellent service .. beautiful washable beige suit and perfect fit. ..was admired on it's first outing! Great to get trousers with 35.5 inside leg. Why can't all trousers be available extra long or unfinished ..Can't be that difficult!!!. Makes people with long legs feel less deformed! The quality of the clothing and the level of customer service is excellent. The delivery of the new suit was quick and prompt. I need to change the trousers because I was perhaps a little optimistic and unrealistic in my sizing. I hope the process will be as lacking in stress as the main delivery. Over enthusiastic with the offers just after you have spent your money but overall a good product with fast delivery and no quibble returns and refunds. A remarkable on line tailor, outstanding service, quality cloths from a internet source , I highly recommend Brook Taverner. The ordering process is seamless and the result is prompt delivery of orders. Thank you "Brook Taverner" for supplying an excellent two piece suite. Beautifully made and it fits just like it was made for me. 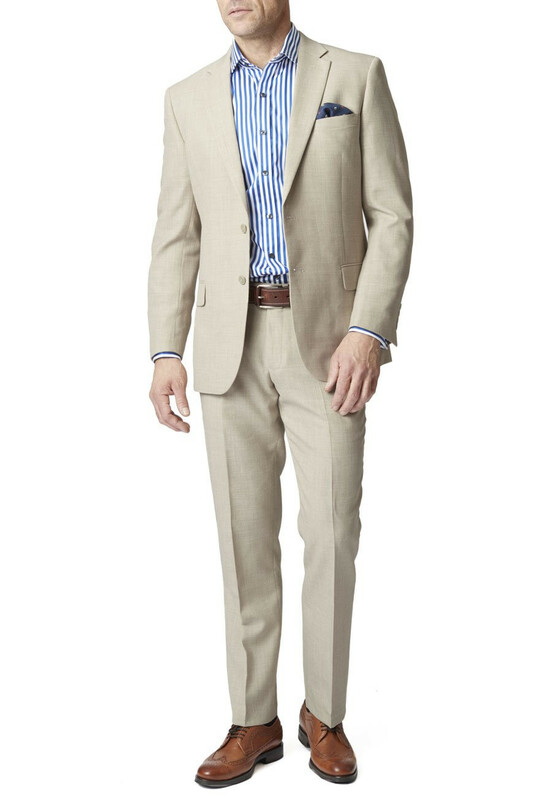 A wonderful lightweight suit for the wedding and two new summer jackets for the cruise. A great service, very reasonable prices and all beautifully made. Having had to change my delivery week because of holidays ,I then altered the size of a garment.Both changes were simply and efficiently dealt with over the phone.Excellent service and garment quality.I will buy again. Highest standards as always! Products and customer service outstanding. Returns and replacement service flawless. Many thanks. Reliably good quality clothes together with good service support make this a good company to buy from. Great service. very prompt delivery and exchange made without hesitation. Good quality products with reliable delivery service. Returns were dealt with efficiently and speedily. Great design, quality, and service - and the length I want - at a good price. Brook Taverner provide great design and fine quality at a very reasonable price. Their service is good in all respects including quick delivery. They offer trousers in any length at no extra charge, which is a big benefit as trousers I've bought elsewhere often need a length alteration. Good arrived promptly and very well packaged. I was delighted with quality and size - and at the sale price an excellent buy. My first purchase and I was impressed. Very pleased with the quality and service of Brook Taverner. The standard of the goods are high and so iis the way they provide it. Highly recommend! The standard of tailoring is excellent, garments beautifully finished. The service is seconded to none with prompt delivery. After many years in bespoke tailoring I have nothing but praise for Brook Tavener in a time of off the peg tailoring. Their standards rate highly. First time buyer. Placed order by phone which was received next morning! Now that's what I call service. Very pleased with the product. So nice to be able to get a jacket 50" long fitting. Most suppliers only go up to size 48" chest. Keep up the good work. I am one happy customer who will certainly be placing further orders. Good quality clothing at reasonable prices and excellent customer service. Very satisfied with this company. Very good quality clothing at very good prices. Excellent returns policy, no negatives at all. I will continue to buy from them. Excellent quality and rapid delivery. Suit fits well and is of good quality. Delivery was exactly as requested. Will deal with again. Order received promptly, excellent quality, wrong fit on trousers, returned free and replacement already on its way. Thank you. 1st time and a very good experience - delivered on time and product was as advertised. I never recommend as one experience, however good, can be different from another but I would happily use again. Swift delivery and perfect fit. This order was delivered swiftly, even with standard delivery, and all the products were as ordered, they fitted well, had good packaging and came with unexpected extras, like a suit hanger with a shoulder protector, and a suit bag. I will be ordering again! Really good quality suit. Fits like a glove. Great value for money. Excellent purchase. Of all the on-line tailors / outfitters - and I have tried a few in my time - Brook Taverner are simply streets ahead - both as to quality and to service. They easily beat anything on the high street too. 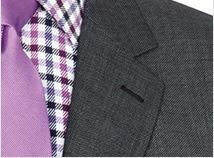 Whether smart or casual, their garments are a real pleasure to wear. First class prices, response, delivery. Prompt delivery. Value for money. No hassle returns. Ordered a suit but had not used Brook Taverner so was not sure if the product would meet the description. However, when the delivery arrived on time I was nicely surprised that the quality was excellent, sizes were reliable and we were very happy with the outcome. Will use them again. 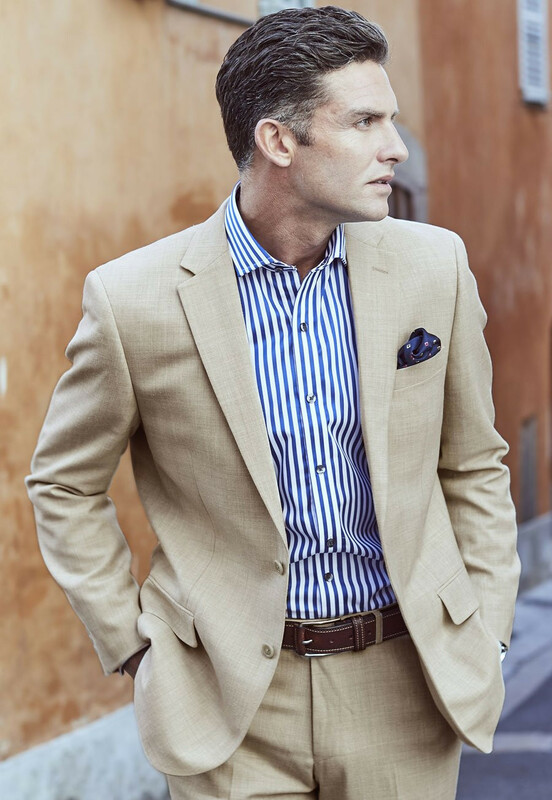 Brook Taverner sell high quality clothing at sensible prices, with a no quibbles return policy.. Excellent efficient service. Prompt service, fair priced excellent product. What more could you want? 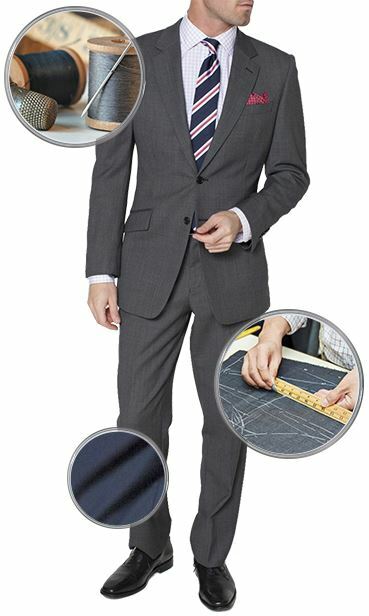 extremely stylish suit, well packaged and swiftly delivered. Having searched for some time for a suit of this type, and being disappointed elsewhere, I was more than pleased with my purchase from Brook Tavener. The very swift delivery was made in a strong box and contained not only the suit but hangers, plenty of protective covering and a free travelling suit cover. The suit itself was exactly as ordered and in my opinion represented excellent value. I have bought from Brook Tavener shops before, but this is my first time by mail order and I would recommend it. My purchase was well and politely handled right from the start to collection and could not have been better. I met with politeness and efficiency all along the line and I can offer no suggestions for improving their already excellent service. Once again Brook Taverner have efficiently delivered a good suit, well packaged and excellent quality. 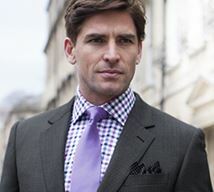 I have recently purchased from Brook Taverner for the first time. I am amazed at the quality and the value. The service is prompt and accurate with returns dealt with and refunds made in days not week (as with others). I will certainly be using this company again and thank them for the experience. Supplied my size exactly and it was here ready to wear Monday morning after ordering on a Sunday. No Saville Row shop could match that! This is a high quality suit delivered on time. I am delighted with the product. Good customer service. Great bargain and discount. Excellent quality. well you might find cheaper out there, but this companies service and products are second to none and in the sizes you want. I used to have to pay out to have the leg length altered, but not now they have them ready for me to wear. 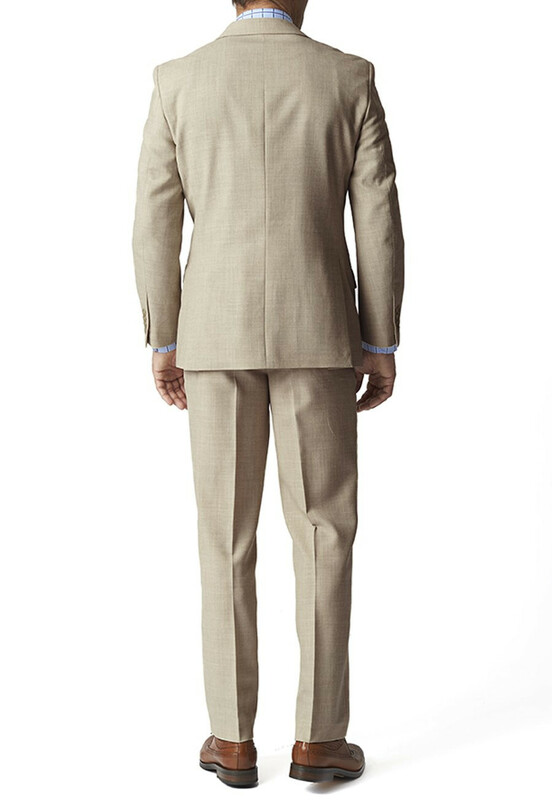 I ordered a beige suit for a wedding in Miami - one of the few available anywhere in the UK (online or in store) in January! Definitely an opportunity there for some more savvy retailer. The suit turned up in 3 days and was a perfect fit (based on in-store measurements ). However, despite the item numbers matching up with the order there was a slight, but noticeable, colour mismatch between jacket and trousers. I emailed Brook Taverner returns dept and they quickly organised the return (at no cost to me), no issues at all. They assured me that they would carefully check the colour match before sending out. It should arrive shortly and I am sufficiently confident in them that I am posting this review prior to seeing the replacement. Suit arrived within 2 days, extremely well packaged and found to be a perfect fit. I just wish this particular suit came in more colours as I would certainly buy another. I purchased the Esher washable suit which arrived in less than 2 days. It was very well packaged and included a very handy suit carrier. I am well pleased with the quality and fit. Refunds dealt with quickly and efficiently. Products excellent quality. Delivery fast when goods back in stock! i already have this suit but would like to purchase trousers only is this possbile. If you type the name 'Esher' in to the search the store here box on our website, this will show the trousers as a separate item, so you can order them individually. 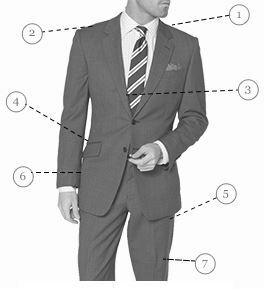 What is Elastine in the Constables Suit & why is it not included in the Stone Esher Linen Suit please? The elastane provides a comfort waistband with extra give up to 1/4 inch. I buy all my clothes from B.T. Clothes are good quality and invariably are a good fit. As an inept user of the measuring tape I ordered a Jacket and trousers to wear for my daughter's wedding. The trousers were too tight and the jacket too large. In a panic I phoned Brook Tavener.The wedding was only weeks away and their website suggested possible longer waits. The helpful member of staff reassured me that all would be well. I posted them straight back with corrected sizes. Within the week the jacket and trousers arrived. A perfect fit. Thank you Brook Taverner. I've been a Brook Taverner customer for some time - I keep on going back, they do everything well. The products I buy suit me, and are a comfortable fit, and their service is faultless. A great suit made with the right combination of materials and the colour is just right but I agree with 1 comment"too generous around the hips". There is an obvious ridge behind the pockets on both sides and the 36" waist size is a small 36". The trousers are not as slim as today's fashion. I spoke with my local store and they have agreed to have a look to see what alterations can be made. The quality from Brook Taverner and their local store is 5 star!!! I can honestly say I have never been disappointed with anything I have ordered from Brook Taverner. The Esher suit so exceeded my hopes and expectations that I have felt compelled to praise its style and quality with my first review. Do not worry that the suit will not live up to the pictures on the website. I can assure you that it does and more. My first suit I've bought in a long time. A really impressive summer outfit, lightweight, stylish, great attention to detail and very impressive quality. Amazing price too! My B.T. wardrobe is gradually expanding. Why? because its great tailoring. I mostly buy from the clearance range but the quality and service are undiminished. Thank you B.T. I am normally a 44R but I found that a 42R was a better fit by far so I think it is made on the large size. Quaity is good as is the fit once I got it sorted.